California’s Blue Summit is an outstanding contemporary bluegrass and Americana quartet featuring young rising stars AJ Lee and Sullivan Tuttle, who throughout their teens were members of The Tuttles with AJ Lee (alongside Sullivan’s elder sister, celebrated guitarist and Molly Tuttle, who we hosted in Meltham last year). 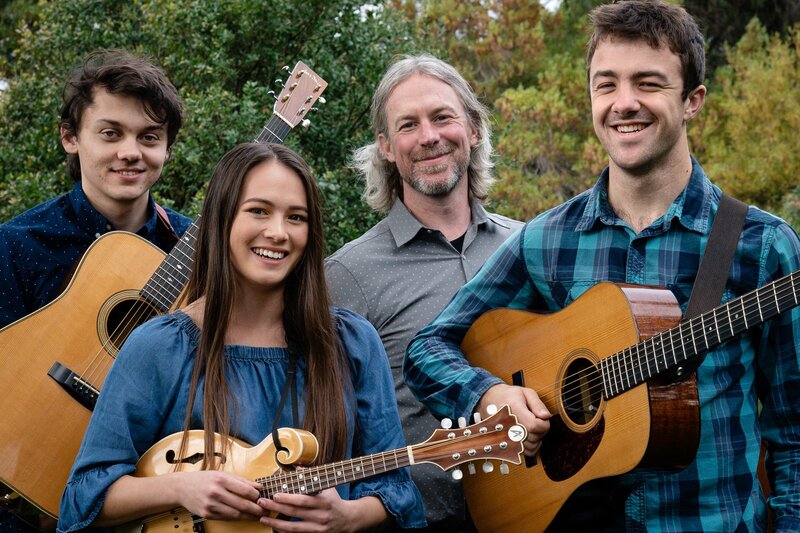 Blue Summit combine virtuoso instrumental work with soaring vocals and sweet harmonies, bringing a fresh modern approach to bluegrass music. Formed in 2015, the band also takes in elements of western swing, soul, folk, jazz and pop/rock. A powerful singer and gifted mandolinist, bandleader AJ (Aissa) Lee has been making waves on the acoustic scene for many years, performing with The Tuttles since the age of just ten! Now a maturing solo artist, songwriter and leader of this outstanding band, she has already released two solo albums in addition to Blue Summit’s recent debut recording Sweet Company. Sullivan Tuttle is a flatpicking guitarist with a gargantuan talent, last seen performing in the UK alongside big sister Molly as a member of family band The Tuttles. Known for his blazing guitar solos and rich baritone voice, Sully is another rising star of the acoustic Americana scene. With the line-up completed by two more accomplished musicians, Jesse Fichman (guitar) and Chad Bowen (bass), Blue Summit has performed at gigs and festivals throughout California and across the USA. True North Music is booking the band’s debut European tour, and we wanted to make sure and include our very own gig with this up and coming young band – bringing more first class acoustic music to Meltham!